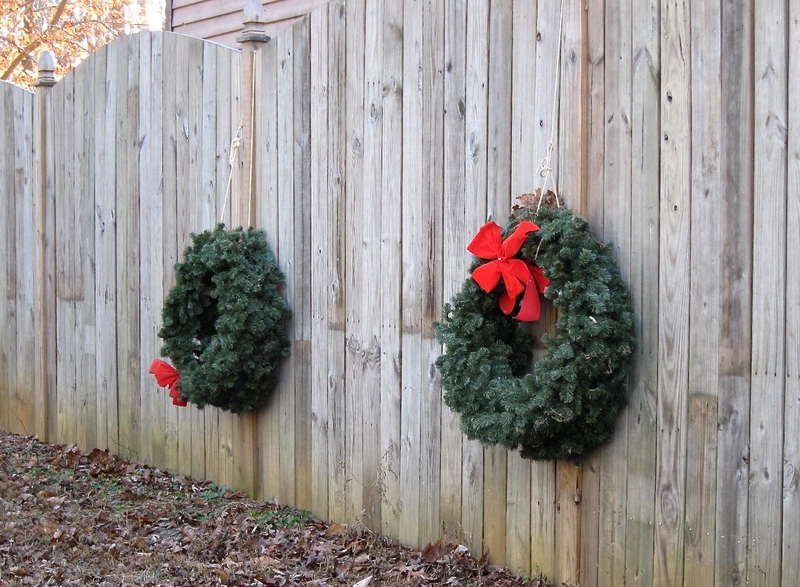 I stopped by my sister’s last week and noticed these oversized wreaths dangling haphazardly on her fence. (A week ago I had seen them hanging from the bicycle racks in the garage.) 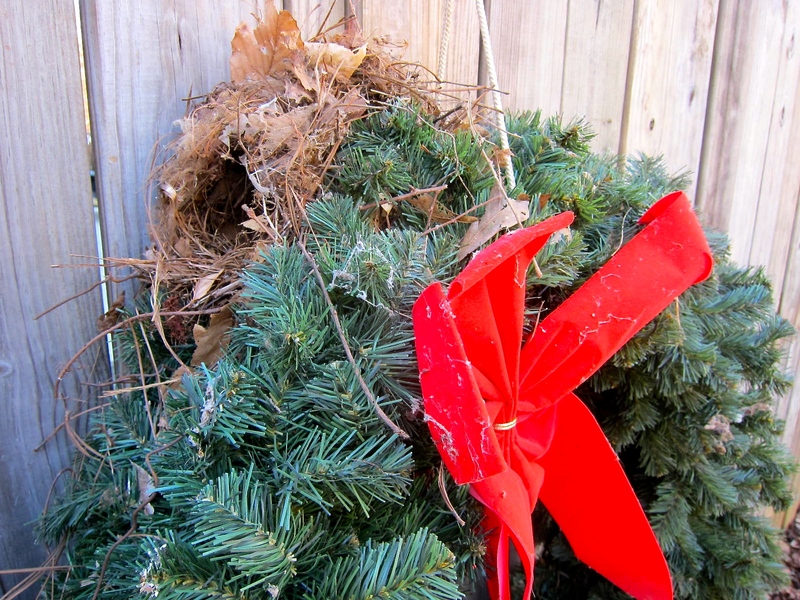 Before I could give her my unsolicited opinion, she pointed to the bird’s nest snuggled into the top of the greenery. 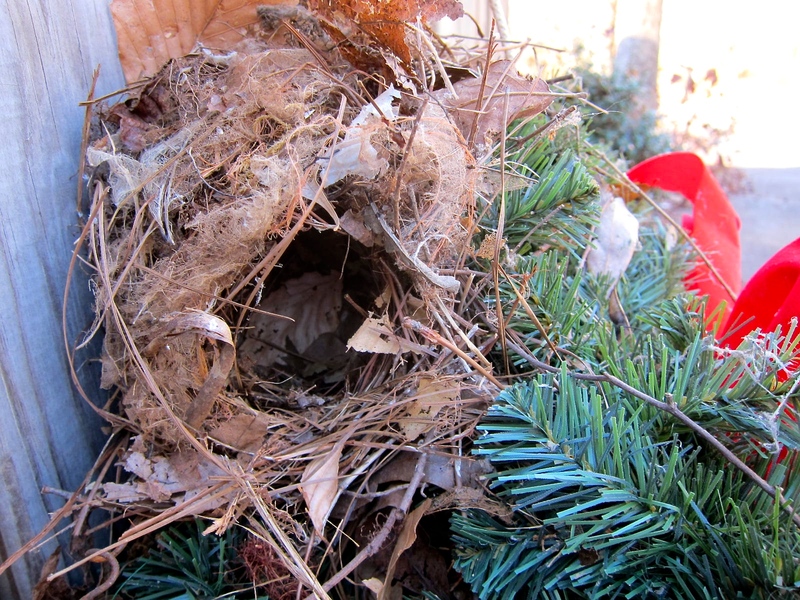 From the activity in the garage, it was apparent that the wrens had been preparing their winter home. They’ll just have a different view this year.